The ‘dirt’ on Farmers’ Markets! Who are you buying from? | The Farm Gate by Nashdale Fruit Co. The ‘dirt’ on Farmers’ Markets! Who are you buying from? by Katie Hartsorn, with friend and fellow market lover Felicity Watson. While stallholders like us are the face of your local farmers’ market, there are often tireless organisations working behind the scenes to organise, promote, expand and improve market opportunities for both consumers and producers. In Orange, we work with teams like Taste Orange and the Orange Visitor Information Centre. 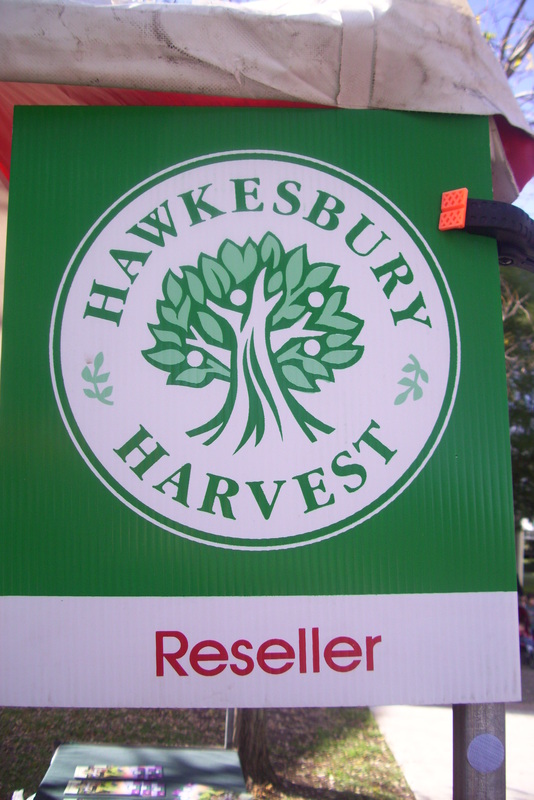 In the Sydney region however, one of the leading lights in the farmers’ market movement is Hawkesbury Harvest, a name which would already be familiar to our Penrith and Castle Hill customers. Hawkesbury Harvest, led by a board of volunteers including Nashdale Fruit Co’s John Reynolds, is responsible for several initiatives which have been instrumental in raising the profile of this important growing region. In addition to running the Hawkesbury Harvest Farmers & Fine Food Markets at an ever-increasing number of locations including Castle Hill, Penrith, Rouse Hill and Richmond, Hawkesbury Harvest has developed the Farm Gate Trail which promotes producers and allows visitors to learn about and buy produce direct from the source. 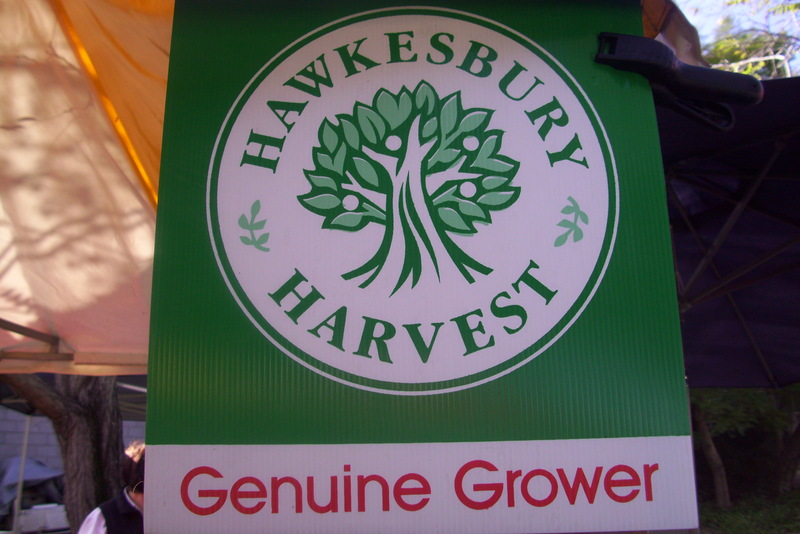 Organisations such as Hawkesbury Harvest are also instrumental in developing and regulating standards to govern their markets in the best interests of producers and consumers. Phrases such as ‘farmers’ market’ and ‘growers’ market’ are important, as they distinguish markets as being places where consumers can buy directly from producers. How meaningful are the words ‘farmer’ and ‘grower’ though? Unlike regulations which require vendors to clearly label produce as ‘organic’, ‘chemical-free’ or ‘conventional’, there are currently no formal requirements for stallholders to identify whether they’re genuine growers or resellers, beyond the initial process of securing a market stall. This means that in some instances, producers bringing their goods direct from the farm may retail alongside vendors who source their produce from places like the Flemington markets, with no way for consumers to easily distinguish between the two. The aim of the policy is to ensure the clear identification of ‘Genuine Growers’, ‘Genuine Producers’ and ‘Resellers’, to allow customers to make informed choices about who they wish to purchase their food from. In recent years there has been a tremendous increase in consumer demand to purchase both fresh grown and value added produce, directly from the grower and or producer. Farmers markets are an avenue where the grower/producer can supply this demand. Farmers markets effectively do away with the need to involve a middleman, who traditionally has taken a significant proportion of the farm income. To maintain this growing support it is extremely important grower/producer stallholders, and therefore farmers markets, are seen as being authentic. As an awareness of the ethical and environmental issues surrounding food production and interest in provenance continues to increase, buying directly from growers allows consumers to make informed choices about the food they buy and the farming practices behind its production. Buying direct from the producer also ensures that customers aren’t paying for the extra handling involved in other kinds of retail, which also means a better deal for the farmers. For farmers like us, being able to serve our customers directly is also one of the most enjoyable aspects of our work, allowing us to educate, provide people with a glimpse of farm life and swap recipes! 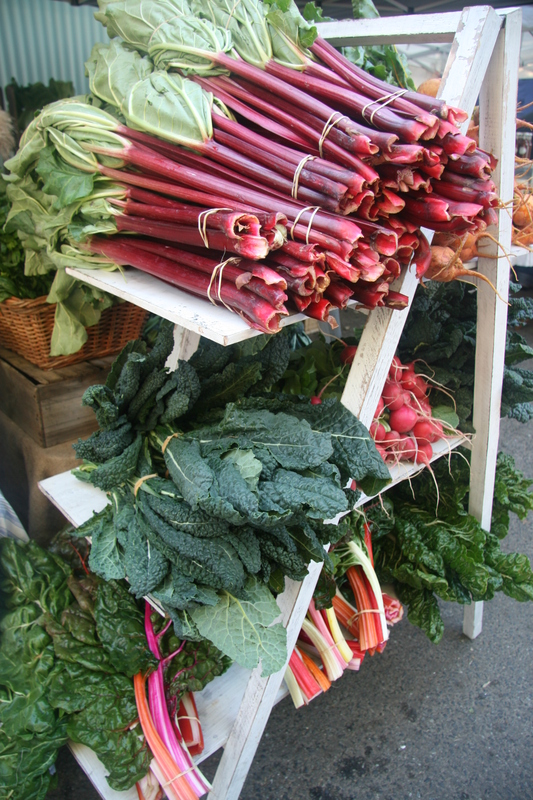 In short, buying directly from the grower is what farmers’ markets are all about. 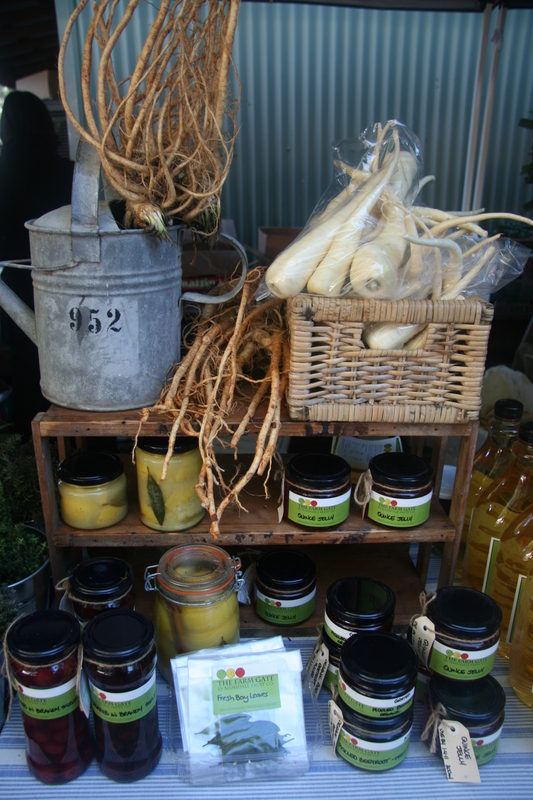 A similar initiative, the Victorian Farmers Market Association (VMFA) Accreditation Program [http://www.vicfarmersmarkets.org.au/content/vfma-accreditation], has been extremely successful, with Victorian farmers’ markets enjoying a reputation as some of Australia’s best. In New South Wales, there are also other individual markets developing their own policies, including the Sydney Sustainable Markets at Taylor Square and Eveleigh Market. Should New South Wales move to implement a state-wide initiative such as Victoria’s accreditation system; should we even go so far as to have one national policy? We, and many of our fellow farmers, are concerned about these questions and are keen to further these discussions. Through our work with Hawkesbury Harvest and other farmers’ markets across Sydney, The Farm Gate is committed to working with fellow producers to boost the integrity of our markets. Next time you visit your local market, don’t assume you’re buying directly from the farm. Have a chat with the person you’re buying from, ask questions, and be prepared to eat seasonally. It is this interaction, and the community we create with our customers, which make farmers’ markets a special experience for everyone! Good points! I go to the Castle Hill markets in Sydney every month, and the weekends between to the Frenchs Forest markets-castle Hill has the signs identifying the growers, FF does not. It makes a difference as I will always seek out growers before resellers, and really appreciate the easy distinction with the signage. A Produce Point-of-Origin Policy, Fantastic! Thank you! I am a Volunteer Board Member of Hawkesbury Harvest, just like John from Nashdale Fruit. Hawkesbury Harvest is about Farmers. We try to find different channel where Farmers can distribute their produce. Channels like the Farmers Markets , the Farm Gate Trail and Special Events and Open days. We are also trying to educate customers where the produce they buy is grown. You will find some of the ‘Genuine Growers’ reselling other produce. Is this fair for the consumer? If they are a ‘Genuine Grower’ why do they resell produce from another growers on their stall. The simple answer is that Hawkesbury Harvest is trying to also ensure that Farming in and around the Sydney Basin is sustainable. Therefore we allow these ‘Genuine Growers’ to sell for other farmers who might not be able to get to the Farmers Market for various reasons. This way the $$ goes back to the Farmer to assist in keeping them on the land. Stand in the Farmers shoes, this has to be a better outcome for them and you the consumer get the produce fresh. 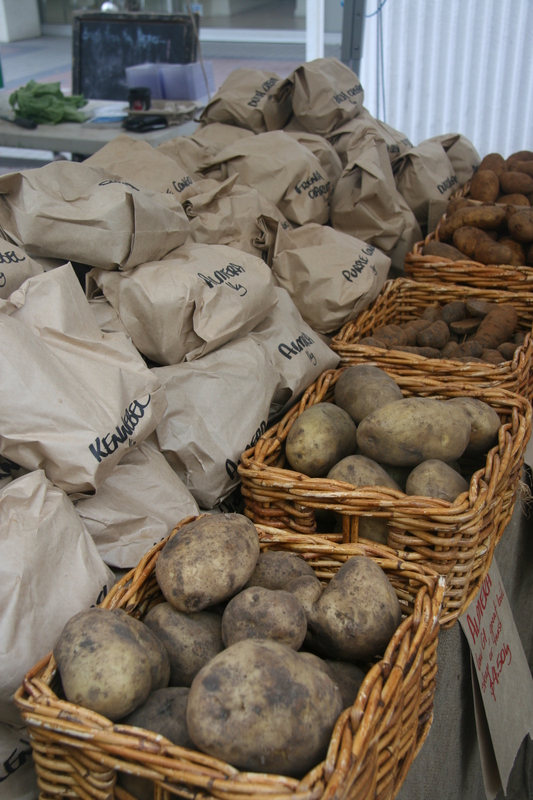 We also allow the ‘Genuine Grower’ to resell produce that normally grows on their farm but it is out of season. Again it keeps the farmer in income. All produce that is resold has to be labeled with the name of the produce, the name of the farm it come off and the location of the farm. This way you the consumer can look at the produce you are going to purchase and engage the stall holder in where it is grown. This gives you a powerful reason to support farming and Farmers Market. Thank you Nashdale for raising this important issue. Thanks for your response Alan. It is very true that the ‘point of origin’ is extremely important for not only our customers or customers attending Hawkesbury Harvest markets BUT all customers attending all Farmers Markets to know exactly where abouts the produce has come from, especially if the produce is on a store and being sold by someone who did not grow it themselves! I just wish there were more organisations or groups like Hawkesbury Harvest in NSW and Australia!! You do an amazing job not only for consumers but for the farmers also! The Rotary Club runs the EPIC farmers’ market in Canberra (EPIC’s the place, not just my enthusiasm 🙂 and they went through a similar process a couple of years ago. Saved the market! Thanks for commenting Zoe! It is so great to hear about other markets who have a similar process in place as Hawkesbury Harvest or those being implemented in VIC. Now bring in GM food labelling!